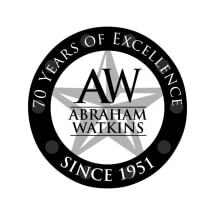 The law firm of Abraham, Watkins, Nichols, Sorrels, Agosto & Azizin Houston, Texas, represents clients throughout the state of Texas and also nationwide. Abraham, Watkins, Nichols, Sorrels, Agosto & Aziz is one of the oldest and most well-respected law firms in Houston, Texas From our law offices in the historic Dickson and Siewerssen Building our main emphasis is in catastrophic injury lawsuits. We are tenacious Texas trial lawyers devoted to representing individuals and families who suffer catastrophic injuries and wrongful death. With Abraham, Watkins, Nichols, Sorrels, Agosto & Azizon your side, you have the reputation, dedication and resources to take on the most powerful defendants in the country. We are one of the oldest and well-respected law firms in Houston, Texas Our distinguished history and reputation works to the advantage of each of our clients. Our clients come from many walks of life: from national sports figures and artists to Houston working class families dealing with catastrophic accidents. We put our dedication and resources behind each case we handle with the mission of obtaining the best resolution possible. Despite the impressive credentials amassed by our attorneys and support staff, you will find that we are surprisingly approachable. We represent injured individuals in personal injury lawsuits because we enjoy helping people. We never lose sight of each client's unique objectives and needs. Our clients receive some of the most experienced and successful legal representation in Houston , Texas without concern for up-front remuneration. We believe that the contingency fee system allows people who might not be able to afford legal representation a chance to pursue justice.